Street parking on blocks surrounding courthouse. Take Major Deegan Expressway, Exit 5, 161 St. to Grand Concourse. 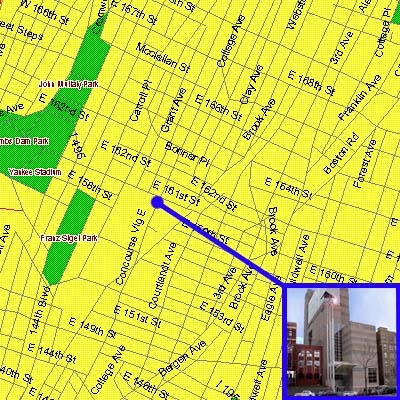 Bx6 bus or #55 bus to River Avenue & 161st St.